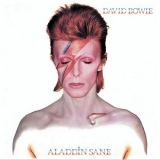 Aladdin Sane is ranked 7th best out of 66 albums by David Bowie on BestEverAlbums.com. The best album by David Bowie is The Rise And Fall Of Ziggy Stardust And The Spiders From Mars which is ranked number 15 in the list of all-time albums with a total rank score of 95,595. Related links: top tracks by David Bowietop tracks of the 1970s, top tracks of 1973. Showing latest 5 ratings for this album. | Show all 977 ratings for this album. A mostly straight ahead rock album with tracks such as Watch That Man, Panic In Detroit, Cracked Actor, Lets Spend The Night Together, The Jean Genie some experimental with a touch of campiness. This is another essential Bowie album. I keep changing my view on this album, sometimes I think it’s ok and other times I think it’s pretty good. 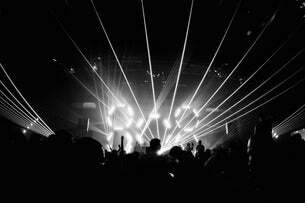 Musicianship is very good,and their is a theatrical touch to some of the songs. Ziggy in America! As Bowie himself told us. Bowie very influenced on this album by The Stones. Lady Grinning Soul is an underrated classic. Deserves more attention. Drive in Saturday and Jean Genie are great singles. Again Mick Ronson deserves a lot of credit for his contributions. A hugely enjoyable album with an iconic cover. It lacks overall originality and attitude of his previous albums, still "Lady Grining Soul" is an underrated gem. I'm a big Bowie fan and weirdly never paid attention to this album. Weirdly and wrongly! It has a mega rock sound! And Mike Garson killing it! Also the production is great and the songs are well crafted. This album maybe an 80 but the jazz piano solo on the title track is phenomenal and deserves an extra 5 points. Really, it is just sick! I really enjoy listening to this album. I love the honky tonk syle piano on 'Time', it blends with the vocals perfectly. 'The Prettiest Star' and 'Panic in Detroit' along with the title track and Jean Genie are personal favourites. There is a great variety of musical styles held within this album which isn't apparent on the first listen. This album would be exceptional if not for Jean Genie and the cover of Let's Spend the Night Together which bring it down (Bowie's strange insistence to do dreadful covers brought down many of his albums until he finally got it right with Wild is the Wind on Station to Station).